What's The Best Free Website Builder? Part Time Affiliate- Full Time Income! What’s The Best Free Website Builder? Finding the free website builder can be a tricky task. If you choose the wrong one you can find yourself in the situation when you realize that you’ve spent a lot of time on getting familiar with the chosen platform and putting your site together just to realize that you’re missing some important features or your site is not performing as good as you’ve expected it to. Let’s analyze a few of most popular platforms to answer the question- what’s the best website builder that’s right for you. First, we will highlight some options and features that worth to be taken into an account when you choose your website builder. We will compare selected platforms, based on them later in this article. Weebly, Wix, WordPress SiteRubix- let’s review what’s free and what’s not. No matter what are you planning your site to be for- a business or a pleasure there probably will be a moment when you will want to scale your site up. Keeping that in mind you need to consider some important features to be available on the platform you choose. Beside free builders mentioned above, there are hundreds and thousands more- Blogspot, SiteBuilder, eHost, Web, and tons more. The first thing you need to remember when going for a free website is that it will be attached to a domain, which is not yours ( instead of mysite.com it will be mysite.blogspot.com or mysite.sitebuilder.com). This is not such a huge issue, especially if are planning your site for pleasure. Even if you’re planning to monetize your website, there are many examples of free sites acquiring a good traffic and making a good money for their owners. Also, having your site attached to builder’s domain spares you some learning curve. But if you want to make a stronger impression on your visitors or you need a business site to represent your business name, then you may want to get rid of that addition to your site’s name. Most of the free builders allow you to upgrade your site to your own domain. They will still consider the hosting they provide to you as “free” although you’re are going to be charged the certain amount (which varies widely) for Premium service. Keeping this in mind, you need to consider the platform that will provide you most features for your buck when things come to that point. Lots of people are being confused when they discover that there are two WordPress entities- WordPress.com and WordPress.org. I’m going to clarify it for you. WordPress.org is a web platform that provides you with CMS, which is an acronym for Content Management System. CMS is a web editor that allows you to create, edit, upload your content and manage your website without the need for technical skills and HTML coding. That means you can concentrate on generating your ideas and making them available to public attention without getting techie. You can download this system for free and manage your websites using it. There are thousands of free themes and plugins available and since WP is an open- source platform anyone with a sufficient knowledge of programming can modify them to suit their particular needs. But getting your site together this way may not be such an easy task and will require you to learn how the system works. WordPress.com is a WordPress- based free website builder. You can get yoursite.wordpress.com free website without the need to learn how the back- end works and maintained but you’re going to have less control over it. There are certain restrictions on uploading themes and plugins and no FTP or Control Panel available. Also, if you would like to customize your site, like change colors you will have to pay an additional $30. Add their ads removal, direct email account, and some other handy features and you will end up paying something between $100 to $300 per year for a single website. Does it sound discouraging to you? Have you already decided that you’re not going to choose WordPress for your site? Don’t worry. Keep reading and I will show you how you can get the power of WordPress.org at the cost of WordPress.com. How much control do you get? When you decide to build a free site you have to realize that you will not own this site. That’s it- your mysite.yourplatform.com is not yours. It belongs to yourplatform.com. Since it’s not yours, you’re limited in your choice what you can do with it. Some of these features may become important when you decide to upgrade your site to mysite.com and some may become important right off the bat. Are they going to put their ads on your web page? This is a quite important issue. When somebody has an exclusive right to display their ads on your web page you can be sure they will use this right to the full extent. Having big banners destructing your visitor’s attention from your content is not a pleasant option. Especially if these ads are dynamic and their functionality slows down your site’s performance. Most of the free builders use free websites as additional advertisement platforms to make money they don’t charge you for their hosting services. That is completely comprehensible but does not change the situation for you. WordPress.org– no forced ads displayed, you may run them to make money for yourself. How much storage is available. As you new site grows so does its size. Uploaded files, videos, and audios will soon consume the space provided to you by most free website builders. Bandwidth is the amount of data your visitors can transfer from (and to) your site over a period of time (usually- a month). To you it means that when your site’s grown to become popular (and profitable) your hosting service can block it once you’ve reached the data transfer limit they imply, cutting your visitors (e.g. customers) off. Can you change your templates? What’s the reason to change your site’s template? First of all, you don’t wear the same clothes all the time, right? You’re following the fashion, more or less. And all your favorite websites change their looks from time to time. You like it, so do your visitors. Besides, every so often you discover that the template you’ve initially liked doesn’t really provide exactly the look you’ve expected it to or it may have functionality problems. Or you’ just have found the better one. So, will you be able to do it? Can you transfer your website to a different hosting service? Why would you want to do it? Well, I think we’ve just listed a few of reasons you may want to do it for. But can you do it? As it’s been noted at the beginning of this post, the ease of use is one of the main conditions for our free website builder. Wix and Weebly both employ drag and drop system, which make site building process look like a play. You can build an attractive looking website in minutes but making it work in the direction you want it to will take more work. Weebly is, probably the easiest builder when you’re just talking about putting the groundwork for a simple site together and call it the day. But in reality, if you want to be able to build a site you can monetize on, the real work will just start at this point. Weebly is not robust enough to provide you with necessary power and training and if you don’t want to spend your time looking for pieces of information all around the web you better not make it your choice. In its turn, Wix is loaded with so many features, that it can become a real destruction for your work. Choosing options that are essential for you is a hard part for someone unfamiliar with this platform and will take the time you may spend on building your site framework and creating your content. As in the case with Weebly, there is no systematic interactive training process and you will resort to going through a lot of information sorting it out and learning everything it’s got to offer to you. WordPress does look less user- friendly at the beginning. Compiling the WordPress site involves using plugins and widgets and this can scare someone who’s trying to avoid of going beyond the word editor, but in reality it is absolutely not so hard to learn the basic principles and don’t forget- even with a drag and drop editors you will have to learn that stuff, ones you will decide to grow your site beyond the very basic one. I’m going to show you how you can get TWO free website and comprehensive interactive training and live support from industry experts with WordPress based SiteRubix. Is your platform SEO optimized? SEO stands, as you know, for Search Engine Optimization- meaning how well your site and content are tuned- up to meet search engine algorithms criteria. Your site’s ranking position (the place it will be shown in search results) is one of the main factors on which the amount of traffic your site is receiving will depend on. The higher position is- the more clicks it will get (ask yourself- how many times you’re going beyond the first search result page in Google or Bing?). To say that, drag and drop systems are usually not performing well in search engine indexing process due to excessive HTML code utilized by these systems. On the other hand, WordPress platform was created and continues being developed by industry experts who consider SEO- friendly design being the most important platform feature. It allows you to customize SEO settings for the entire site as well as on page- by page basis and SiteRubix training and tutorials will teach you how to fine- tune your site for maximum SEO effectiveness. Here is just one little example how well free SiteRubix sites can bring you traffic. Can you run your ads? Whether your site is your fun project or your business the opportunity to make money with it is the very attractive one. Do you have your own product you want to advertise? Or maybe you want to display affiliate links and make a quick buck without getting involved in a depth of e- commerce? Anyway, the ability to display your own ads is very important. On the other hand, most of the free website builders don’t allow you to do that- they want their ads to be displayed. At the same time, SiteRubix has been created by internet marketers for internet marketers. Not only you are allowed to place advertisements and affiliate links on your site- they will teach you how to do it the most effective way. Why do I recommend WordPress’ SiteRuibix? You can say- “It’s simple- because you’ve chosen it for yourself”. But this is only the part of an answer. The main reason I’ve chosen SiteRubix to be a builder/ hosting platform for my websites is the most comprehensive training provided by Wealthy Affiliate University, the entity behind the SiteRubix. When I was starting my online career I’ve tried many top ranking website builders. All of them had their advantages and disadvantages, but they had one thing in common- none of them has provided a structured training beyond the knowledge base. Finding myself stuck and having no way to transfer my site to the new hosting company I had to abandon my site and start the new one from scratch. This is why I recommend you to use your site with a SiteRubix. Not only you will have a free website builder to build two well- functioning highly customizable websites that you can transfer to a different hosting if you decide to and grow into full- scale online business, you will have an adequate training that will teach you how to build websites on the most advanced platform in the future, no matter what hosting it resides on. Are you going to build your site on a solid platform? There are many well established hosting companies, offering inexpensive services- 1&1, GoDaddy, HostGator, BlueHost and so on. I was using some of them and I’m not going to bash them. Most of them provide a good service that’s adequate the modest prices they charge. The service they offer is a traditional shared hosting and if you decide to switch to a dedicated hosting then you will have to open your wallet wide. The problem with shared hosting is the same as with any shared resources- you’re getting only a piece of it. When other sites on the same begin to get a lot of traffic your site’s performance may decrease significantly. When other site’s owner gets involved in illegal activities feds may shut down the server and your site on it. The XXI century alternative to this problem is cloud hosting solution. Cloud architecture has proven it’s reliability and redundancy. There are enough resources to compensate your increasing needs in storage and bandwidth. If one of the cloud’s elements goes offline it will not affect your site’s performance. You can think of your site being hosted on a dedicated server- it’s just not a single server. All SiteRubix sites are hosted on the state of the art cloud hosting network that has been built entirely around what online business owners need. The right guidance is crucial. Online rules are changing frequently. Recommendations, that were relevant a couple of years ago may not work today. How effective will be your site if you build it using outdated strategy? Right, it will perform rather poorly. You need to make sure that tutorials you’re using are up to date. Wealthy Affiliate University, the mastermind behind the SiteRubix’ platform and its 400K+ member community ensure that you receive the latest and greatest. At the same time, you can rest assure that all technical aspects will be taken care of for you. Start building your free website now! Before you have even signed up for your free starter account you already start your free training on how to build your website! Watch the short video tutorial below that will explain you in details first steps you need to take. The secret of making successful training is to break it to simple steps. I don’t think it can get easier than that. Best free website builder comparison conclusion. I hope I was able to explain why I recommend you to choose WordPress SiteRubix for your free website builder. With the power of WordPress and outstanding training, this is not a hard choice to make. However, you must keep one thing in mind. Despite the highest quality of training, it will only make an effect when you’ll start to apply it. That’s right- tons of knowledge will not make you any good until you’ll begin to use it in practice by building your site, creating content, and applying SEO techniques. Tip: you can start improving your site’s SEO right now by creating your site’s first backlink by leaving your comment in the Comments box below and entering your site’s name. Now, I believe that the question “What’s the best free website builder” is now answered. I strongly recommend you to avoid falling for initial simplicity of drag and drop systems and choose WordPress platform that will allow you to build your long- term online success. I wish you all the best in building many great websites in the time to come. What Is BLOG NINJA- A SCAM or A Way to Make Money? Read This Review. 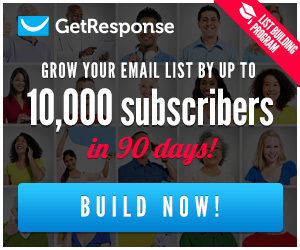 What Is The Best Free Autoresponder?- Listwire reviews. How To Get Traffic For Your Website Free. What Is An Online Affiliate Marketing And How To Make Money With It. Kirill on 2016 GetResponse Review- Email Marketing platforms compared. Deepweb links on 2016 GetResponse Review- Email Marketing platforms compared. Kirill on Earn Money With The Empower Network. Kirill on ATryBox Review- Do You Want To Make Money Online From Home? Keith Weatherby II on ATryBox Review- Do You Want To Make Money Online From Home?